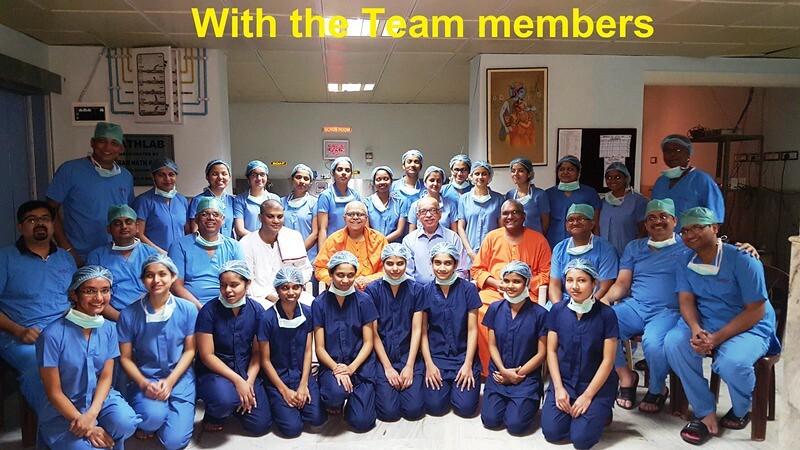 The Annual Free Urology & General Surgery Camp (2nd Camp for this year) was successfully conducted at our Vrindavan ashrama, from 8 to 12 November, 2017 with the kind support of Manav Seva Sansthan, Mumbai. 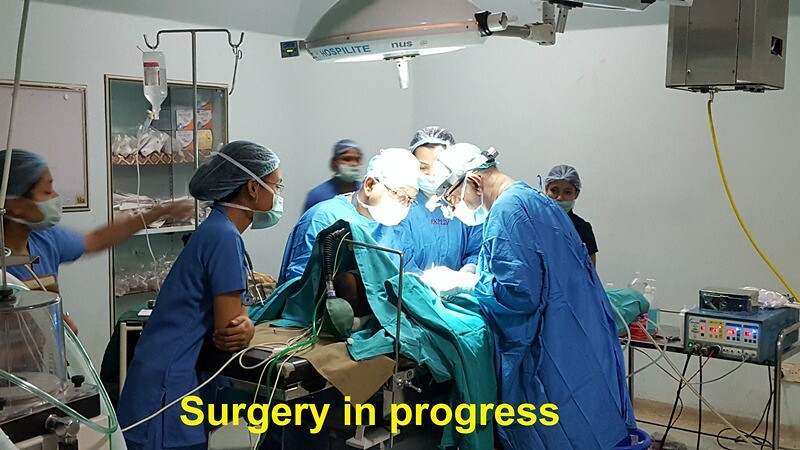 A team of 6 specialists from Mumbai, Pune, Nagpur and 5 specialists of our Vrindavan Hospital have actively participated under the leadership of Dr.(Prof.) Harshad Punjani and Dr.Balachandra Kashyapi in screening the patients and conducting the surgeries. 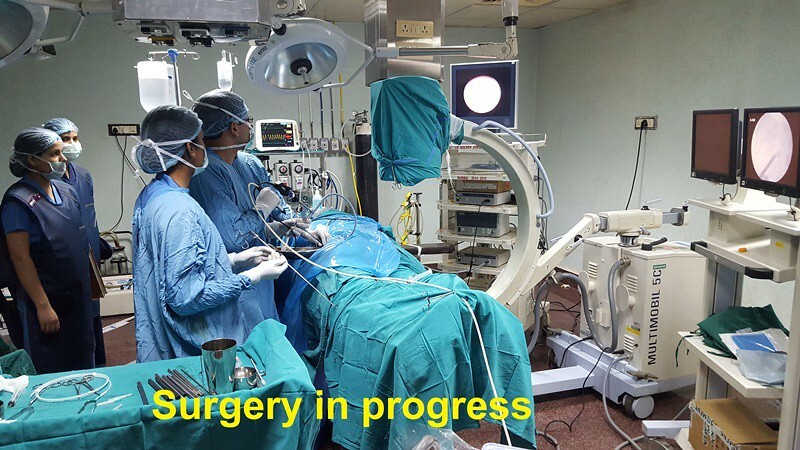 During this surgical camp, surgeries like TURP, PCNL, Cystoscopy, VIU, Urethroplasty, Hernioplasty, Hypospodiasis, Circumcision, Eversion of Sac, VVF, Laparoscopic Cholecystectomy, Laparoscopic Appendictomy, Hysterectomy etc. were conducted. 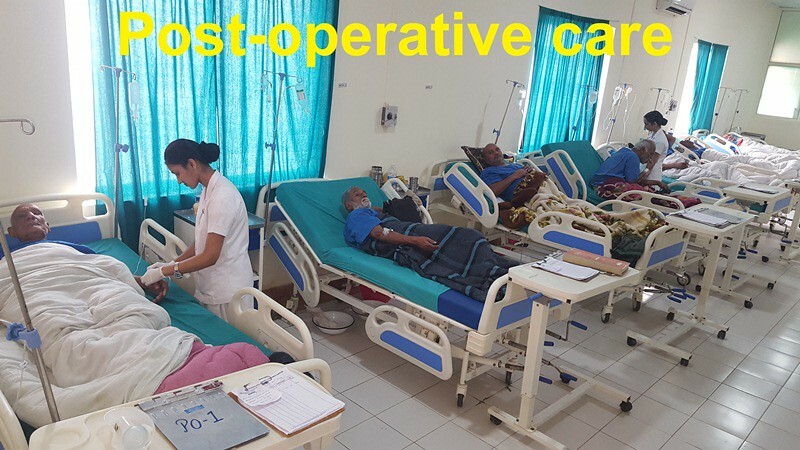 About 300 patients were screened in the OPD and 72 patients underwent surgeries free of cost. 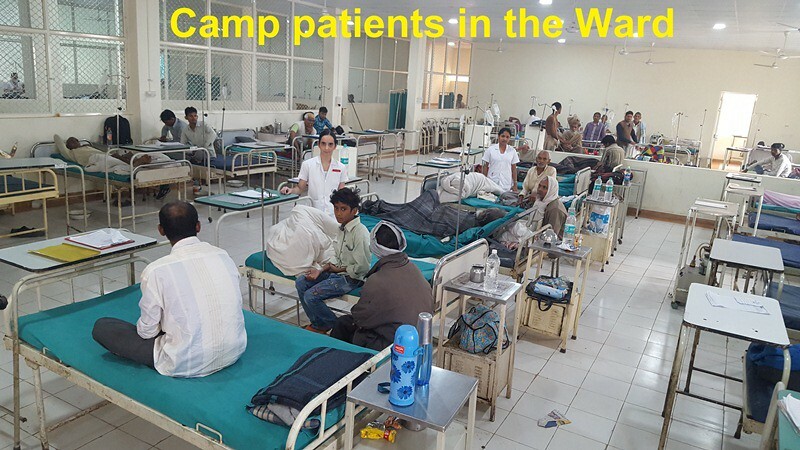 The next Free Urology and General Surgical Camp is scheduled to be held during March/April, 2018 by the same team of specialists in our Charitable Hospital by the courtesy of Manav Seva Sansthan, Mumbai.